ACTIVE "FREE CHOICE SYSTEM" THROTTLE KIT gives you a variety and fun of "throttle setting" with 6 different throttle pipes (For TYPE-2, 4 of 6 throttle pipes are applicable). Larger throttle reel gives you quicker throttle action, and very good for racing needing faster throttle response. Smaller throttle reel gives you slower throttle action, and suitable for stunters, female riders and beginners needing more secure and precise throttle action. 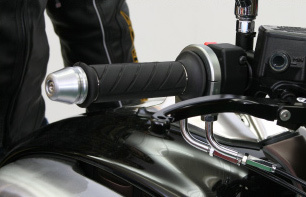 Let's find your "best" throttle setting with ACTIVE THROTTLE KIT! Based on our long experiences which have cultivated with the conventional but enough race-proven Type-1, 2 and 3 throttle kits, we created a brand-new and very unique & innovative throttle kit especially for race use. 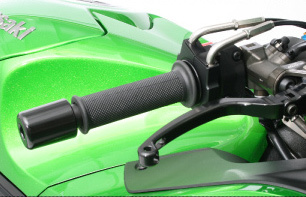 This "EVO" throttle kit has reduced the friction drag in throttle twisting dramatically, so it gives better throttle control not only to racing riders but also to street riders.